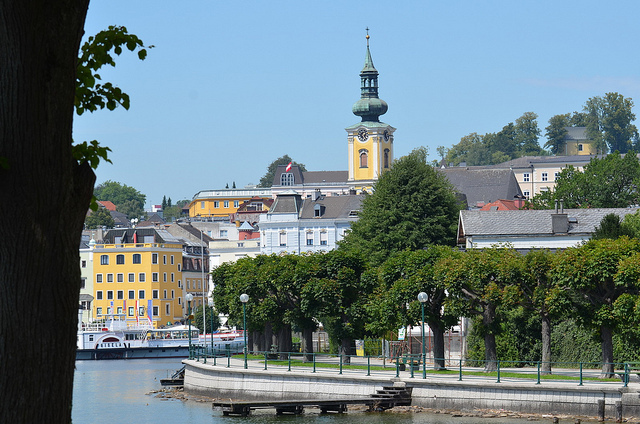 Gmunden is a bustling city with southern charm in an idyllic location on the northern banks of the Lake of Traunsee on the River Traun, the the city pottery, lying in the district with the same name in Upper Austria. It is surrounded by an impressive Alpine landscape with mountains. 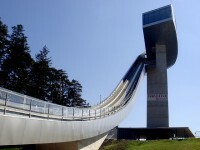 It is very popular and famous health resort, where summer tourists come for health care and relaxation. There are a variety of lakes, salt waters and pine cones baths, a hydropathic institute, rooms for inhalations, various kinds of treatments and many more. 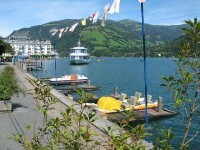 There are many shops, cafes, restaurants and hotels along the lake, where are take place many activities and water sports. 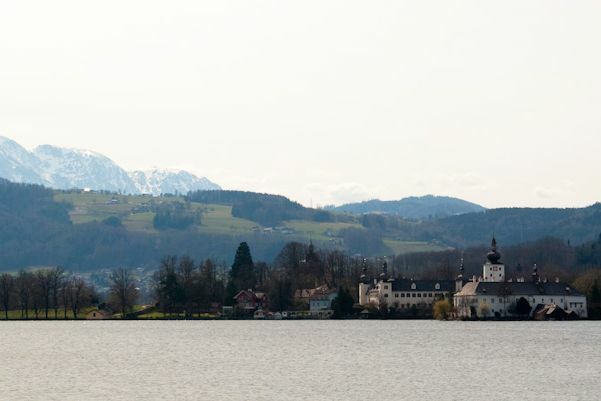 Due to the favorable climate and the beautiful landscape, the aristocracy and the wealthy citizens spent their summers in the city near the Lake Traun since the nineteenth century. 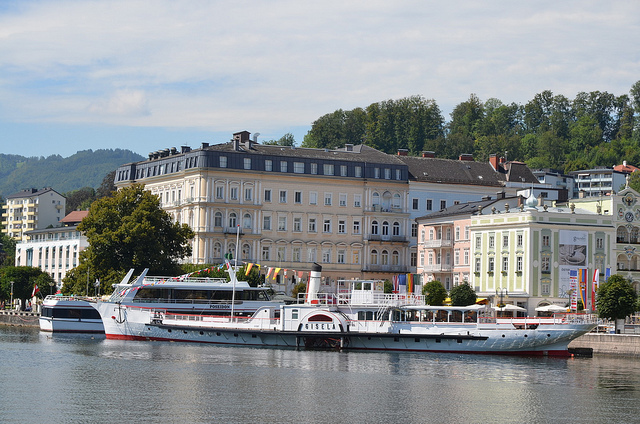 Emperor Franz Josef, for example, used to visit the Royal House of Hanover in Gmunden, where the nobility throughout Europe lingered before going to his summer residence in Bad Ischl. Those who want to visit Gmunden should know that the Romans used to call Lake Traunsee “Lacus Felix”, which means “Lucky Lake” or “Happy Lake” thus recognizing the magical effect it has on all who spend time on its banks. Traunsee is the second largest lake in the area after the Attersee. It is 12 km long and 3 km wide in its widest portion and has a very high quality water, being the deepest in Austria with its 191 meters. Located ideally in the transition zone between the alpine hills and the Alps, the lake attracts thousands of tourists annually, all gathering around the lake during the summer months both for different sports activities as well as for art, culture, traditions and customs that are found all around it. If you want to walk on the lake you can travel anytime with the specially prepared steamship called “Gisela “. Another area that tourists usually visit in Gmunden is the Esplanade, a near two kilometers long pedestrian area with beautiful chestnut. You can walk on the beautiful alley from the Renaissance Town Hall Square to the beach of the charming lake watching the imposing white swans floating on the stretching clear water. The Orth Castle in Gmunden is probably the most important, impressive and imposing building in Gmunden, a building located on a small island on Lake Traunsee. Following the Esplanade you can get easily to the bridge of wood, the only access to the castle. Noteworthy are the triangular courtyard, the Rococo fountain, the arches, the small tower/dungeon and the Gothic chapel that became a popular place for people who want to get married. Around 300 couples have said “yes” in a romantic scenery.